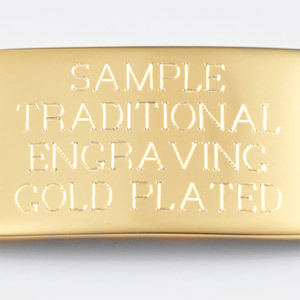 Weight: 2.96 oz. 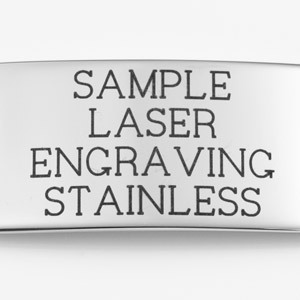 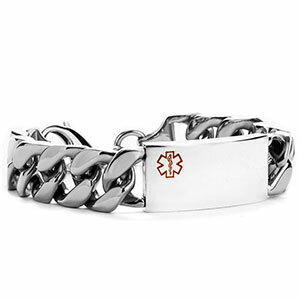 / 84 g.
This heavy-weight surgical grade stainless steel medical ID bracelet has a solid weight and feel to it. 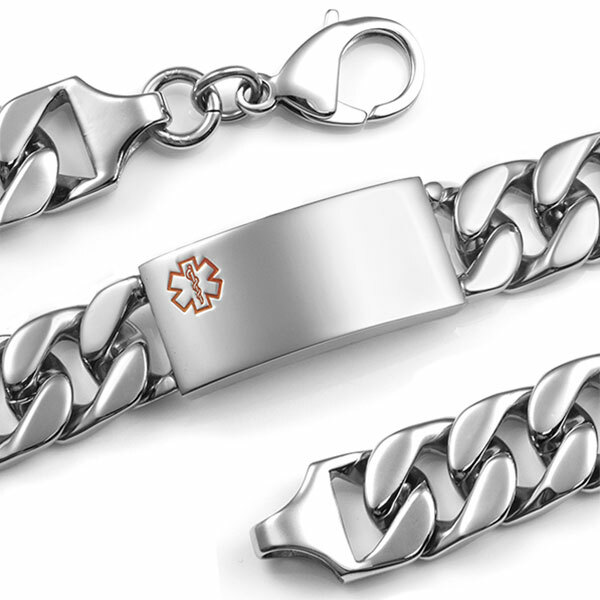 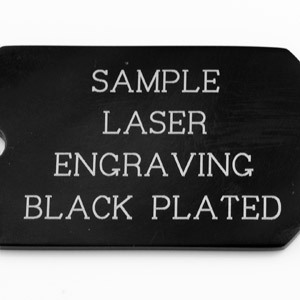 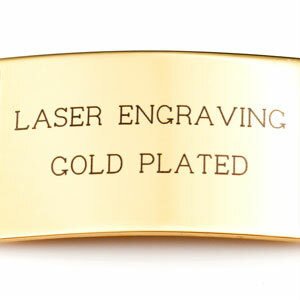 It has a polished finish and can be engraved both front and back with medical alert instructions. 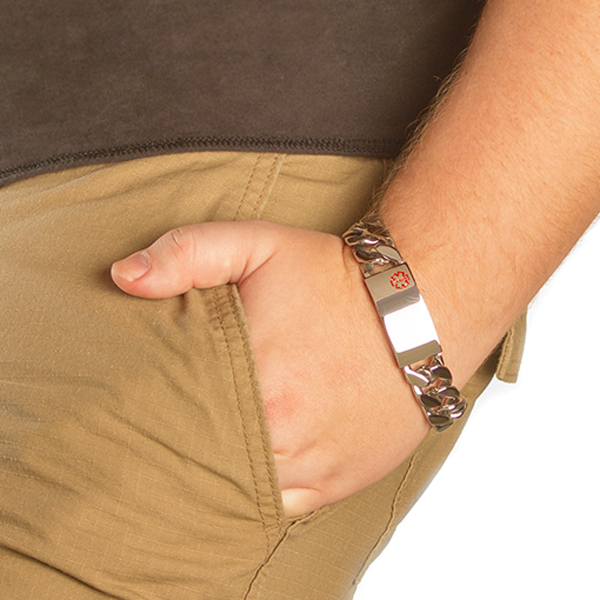 Has a lobster clasp as a closure. 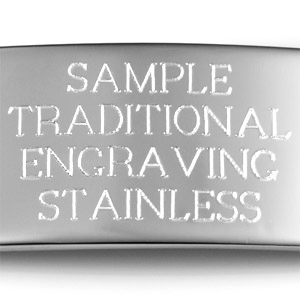 Up to 6 lines of 15 characters each, including spaces!